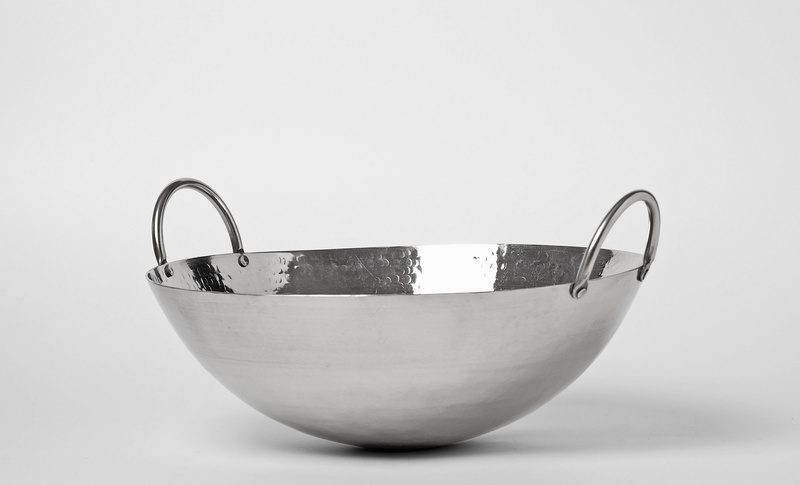 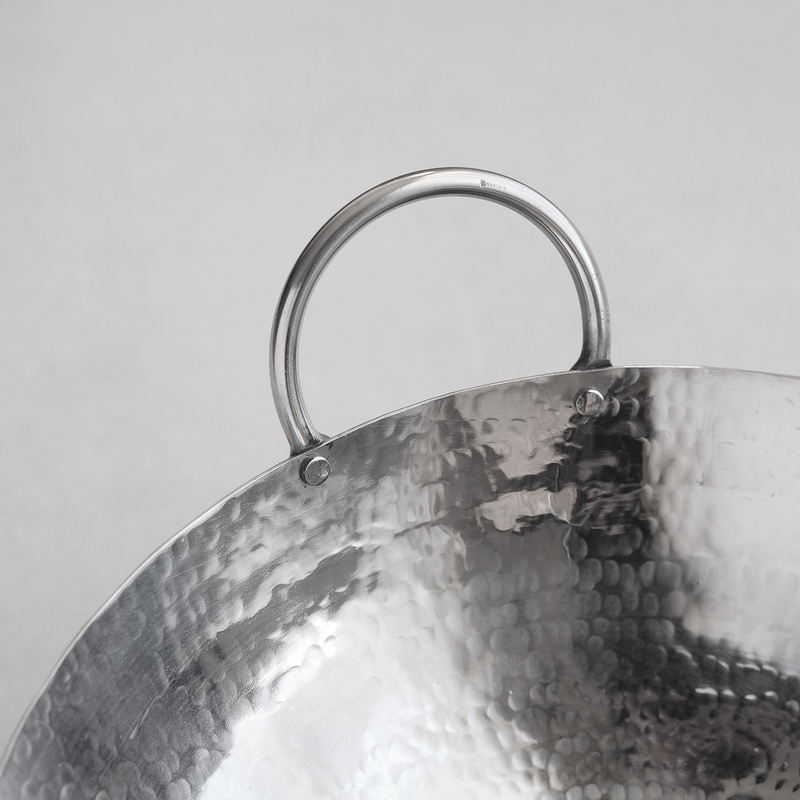 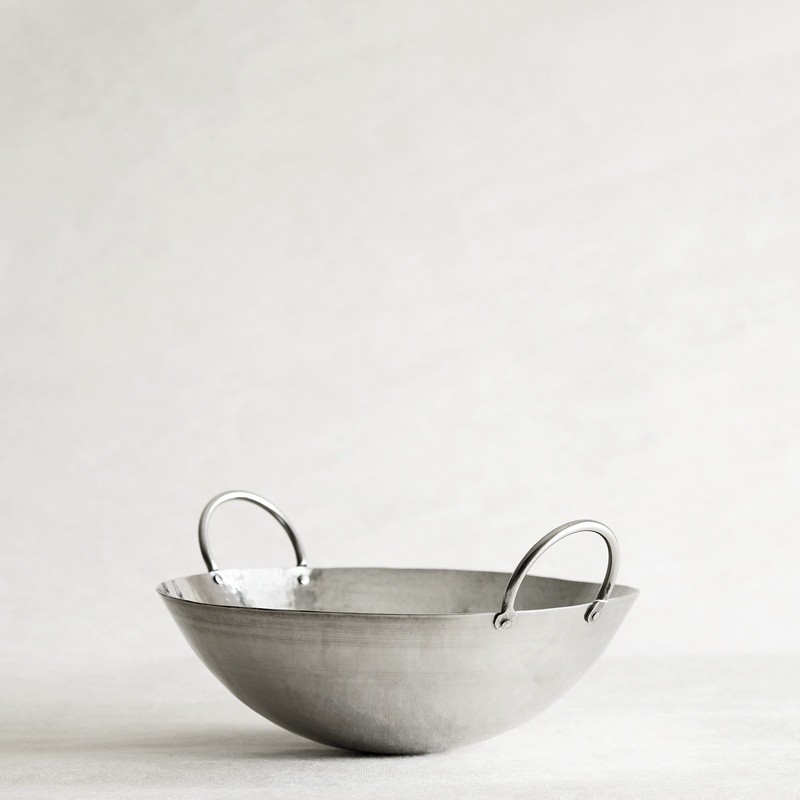 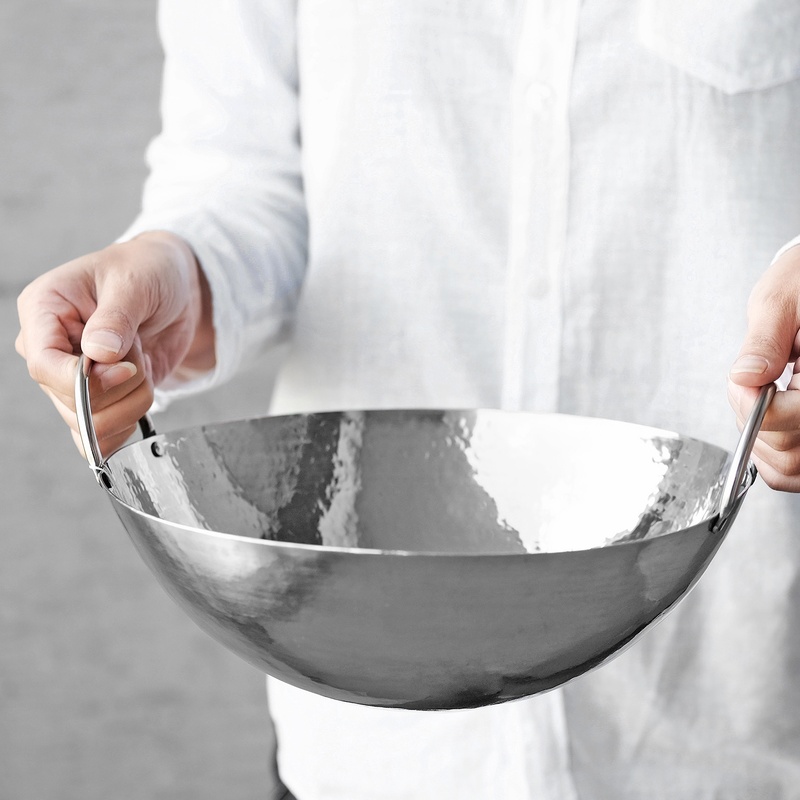 Hand-hammered wok handcrafted in Pakistan for Babaghuri from high quality stainless steel. 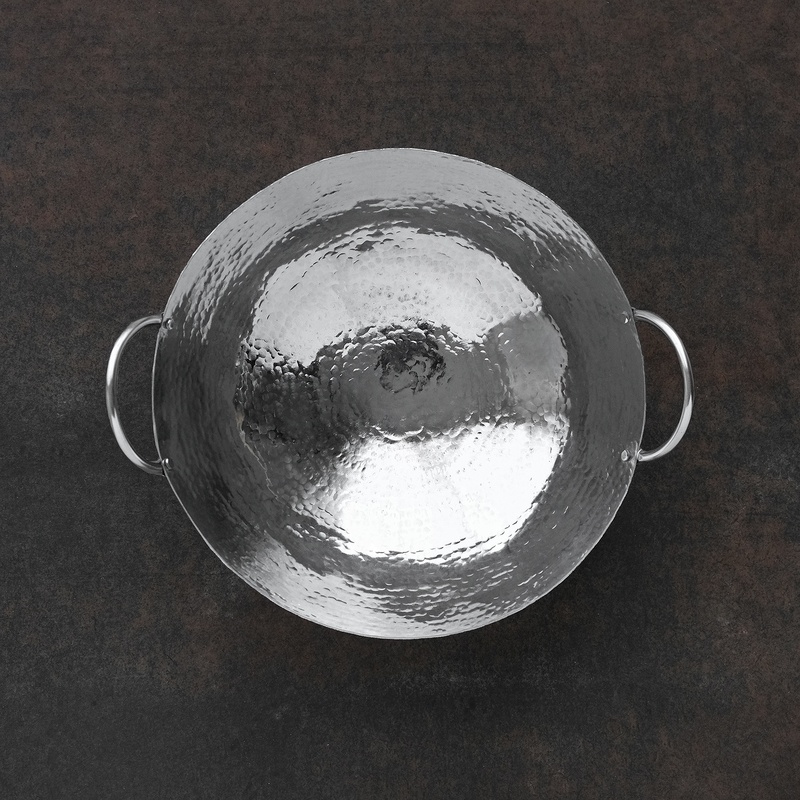 Each wok is made individually by hand and small marks and imperfections should be expected. 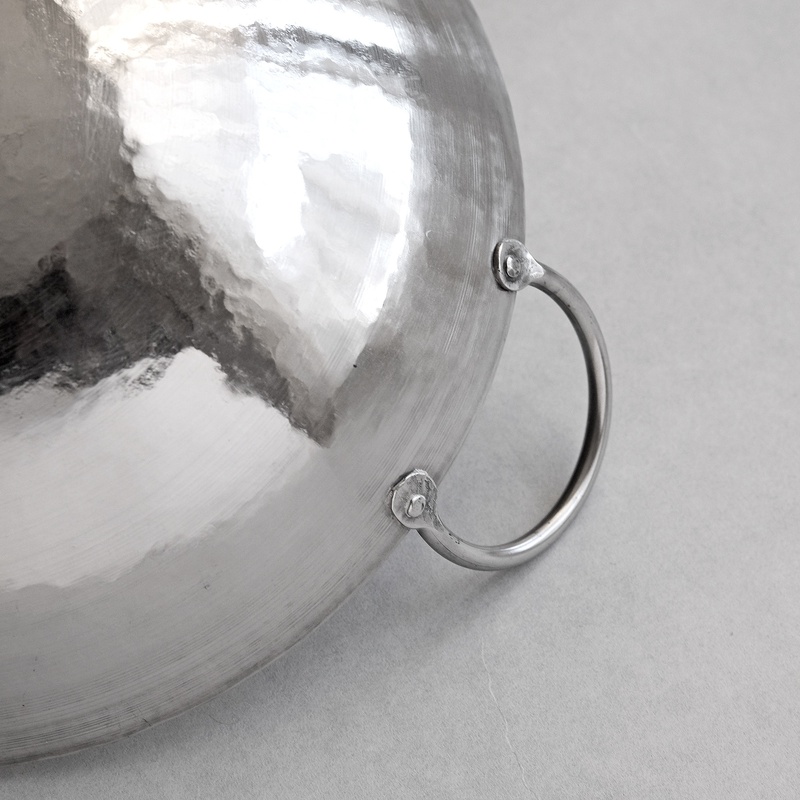 Please view all the available images to see the surface in detail.